Domestic violence is an extremely serious (and unfortunately common) problem all around the world. To fight back against this problem in Florida, victims are able to access certain legal tools. 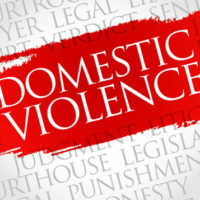 Indeed, in the state, domestic violence can be justifiable grounds to seek a particular type of restraining order that is called a domestic violence injunction. If granted, a domestic violence injunction can have huge effects on a divorce case, child custody case or child time-sharing dispute. Here, our experienced Orlando domestic violence attorney answers three of the most frequently asked questions about domestic violence restraining orders. What Qualifies for a Domestic Violence Restraining Order? Serious threats or threatening behavior. How Do You Get a Restraining Order? To obtain a domestic violence restraining order in Florida, you will need to file a Petition for Protection Against Domestic Violence. Under the state’s legal procedures, these cases are given immediate consideration. This is important as domestic violence is inherently an emergency situation. With your attorney, you can file this pleading without giving any notice to your abuser. Further, a judge can rule on your case and sign off on an injunction immediately. To be clear, this will only be a temporary order, and it will stand for a limited period of time. If this order is granted, the alleged abuser will then be notified by the authorities. Within fifteen days, a more comprehensive hearing will be held. At this hearing, the other party will have a chance to challenge the order. After this hearing, the Florida court will decide whether the initial injunction will continue or if it will be cancelled. How Do You Challenge a Domestic Violence Restraining Order? Under the law, you can challenge a restraining order. Sadly, there are some cases in which domestic violence injunctions are sought in bad faith. As a domestic violence restraining order is incredibly powerful, you need to take action if your partner seeks one against you unfairly. To challenge this order, a person should attend the hearing with an experienced attorney by their side. What you will need to do will depend entirely on the allegations against you. It may be necessary to testify before the court to make your case. At the Law Offices of Steve W. Marsee, P.A., our team has extensive experience handling all aspects of domestic violence restraining orders. Regardless of your circumstances, we have the skills and knowledge needed to protect your family law rights. For immediate legal assistance, please contact our Orlando office today at 407-521-7171 or email us directly through our website. We serve individuals and families throughout the Central Florida.